On Friday, 9th February, Vicki will hold another session for our Cycling Without Age pilots to familiarise themselves with the new electric-assisted trikes at MACS. The session is from 1-4pm, at MACS, 100 Weddell Road, North Geelong. We’re still recruiting new pilots. If you’d like to be part of this world-wide cycling movement, please send your expression of interest to Helen or Vicki. 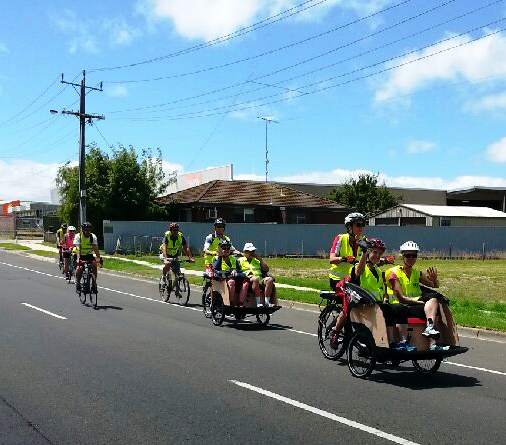 Help those who can’t ride enjoy the experience of ‘wind in the hair’ through a slow bike ride with friends. This entry was posted in Cycling Without Age, Events by hlyth2013. Bookmark the permalink.